Some trappers have found that rabbit urine can be used to effectively attract predators and other animals to traps. 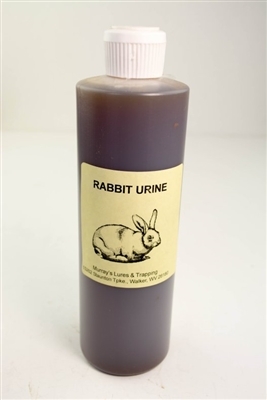 You can try it out for yourself by using Murray's Rabbit Urine from Murray’s Lures & Trapping Supplies. There are a number of ways that you can use rabbit urine as a trapline, depending upon what you are trying to trap at the moment. By ordering a bottle, you can see if rabbit urine will work wonders for you.